Way back in December last year I embarked on a small, quick (ha!) 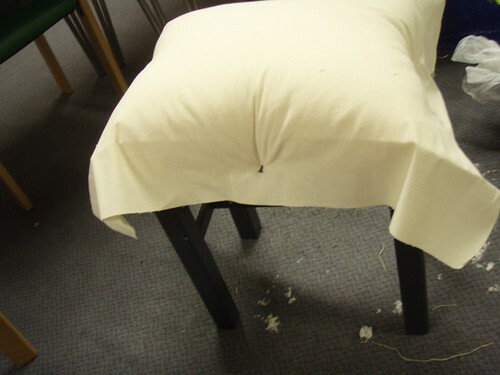 upholstery project in an evening class. I finally finished the piece a couple of weeks ago. I had 95% completed it but then it got abandoned in the chaos of 15 million other things I needed to do more urgently. But now it is done and even photographed, and has been out in public – so it is time to blog! 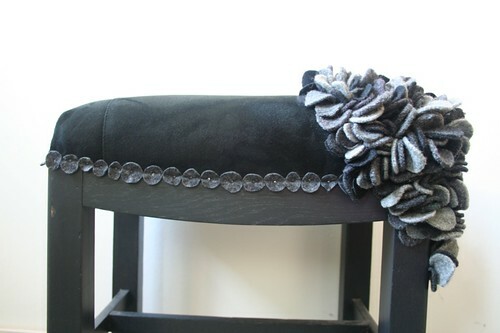 I’ve done a few bits of upholstery before, mainly as a vehicle for showing off handmade fabrics. I have ambitions to do more, and would happily make bespoke fabrics for other people to upholster with – I love the upholstery part but it takes FOREVER. 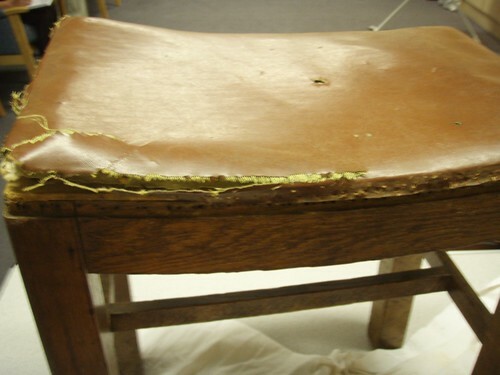 I completely understand why traditional upholstery costs a fortune. 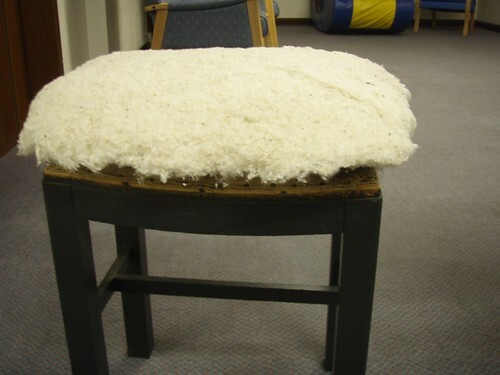 This stool took one class to strip down, then I had to sand and paint it. 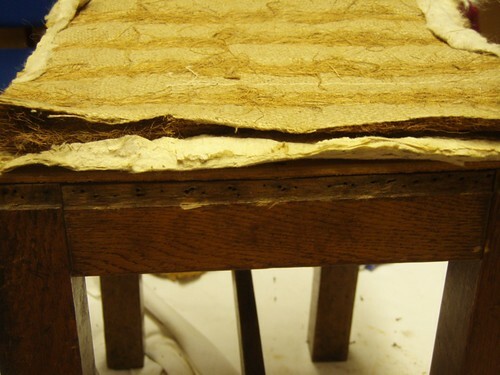 The layers of the seat, during strip down. Getting nails and staples out is hard work and old chairs contain a horrible lot of dust & dirt. Putting the seat back together is more fun. Hessian. Stitching. Horsehair. Hessian. Stitching. 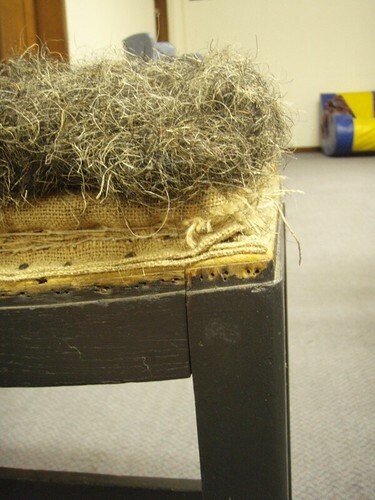 Horsehair…. Then I had to make the fabric – I used an old suede skirt cut down to make the main fabric, which is embellished with hand-stitched felt pebbles made from recycled wool felt. Hundreds of them are hand stitched onto the suede before attaching it to the stool. 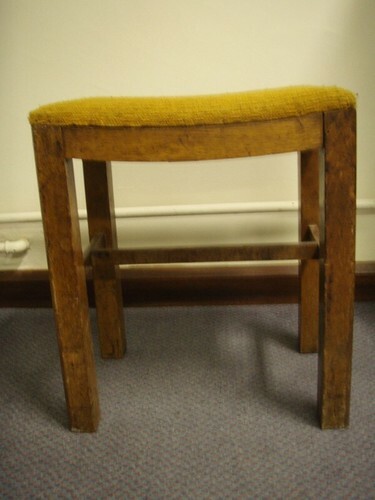 I spent ages trying to come up with a suitable trim – commercial upholstery braids were definitely not what I wanted. Eventually of course it came to me – individual felt pebbles tacked on with tiny black nails all around the edge. 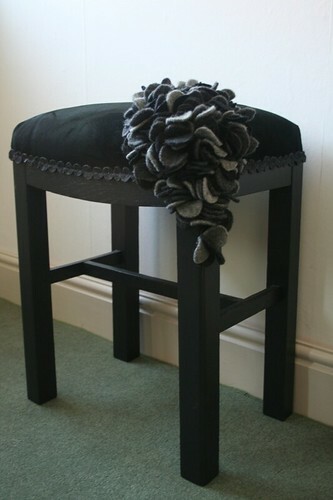 The final touch was to nail on extra felt pebbles down the leg of the stool. I took it with me to the Festival of Quilts where it was much admired – and I somehow managed to bash the paintwork so it needs a touch up. It has probably taken 30hours or so. A labour of love. And love it I do! That looks amazing. What an amazing piece of work. Upholstery looks like one of those things I would love to do and would possibly be quite good at, because hammers hold no fear for me, but can't do cos it's too much for me to do. So I just look at people like you and admire the beauty you have wrought.